Thinking about partnering with a technical call center to outsource your help desk? Learn how outsourcing help desk services can have a positive impact for your organization. There are two types of IT help desk solutions, one dealing with internal customers (employees of the company), and the other with external (customers of the company). The choice in outsourcing help desk services is a difficult one. However, there are several reasons why this is a good idea. Cost saving is usually cited as the primary reason for outsourcing; however, other reasons can be just as compelling. Whether help desk agents are employees of your company or a third party, they are the first and primary point of contact between you and your customers. 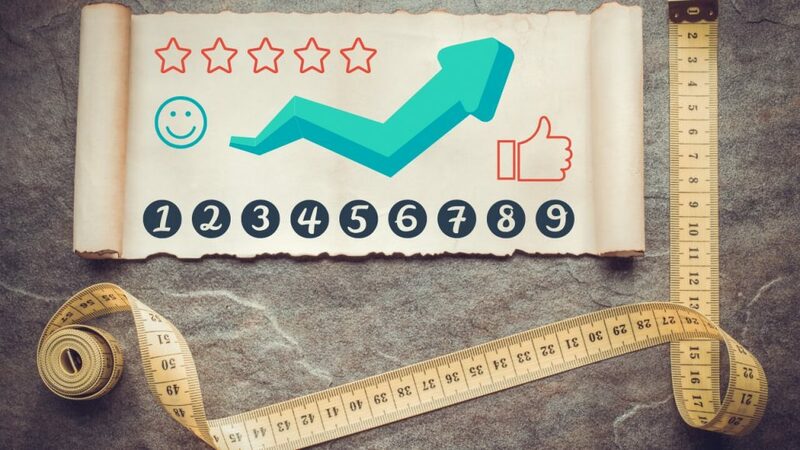 This is a very important customer touch point, and you don’t want to have a misstep. 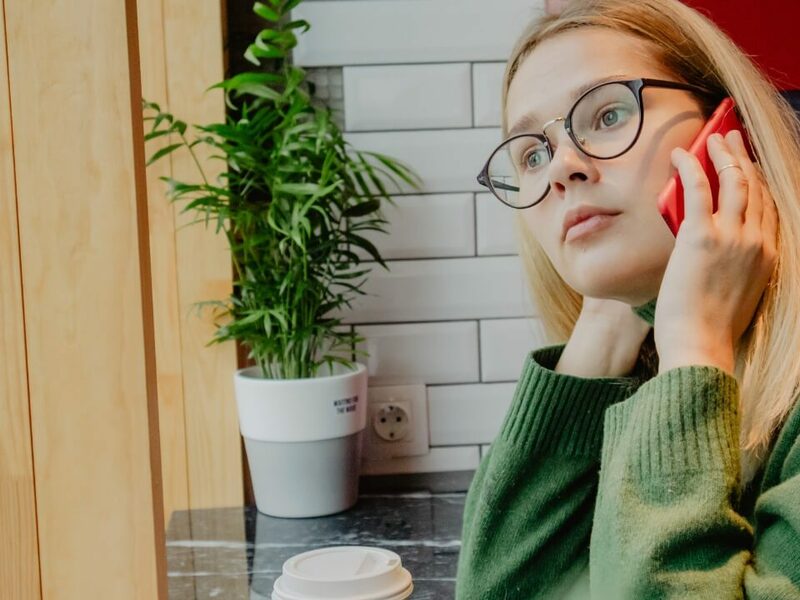 If the call center agent isn’t helpful and knowledgeable, your customers may draw the conclusion you don’t value their business and go elsewhere. Good IT help desk agents don’t come cheap no matter if they are in-house or outsourced. For a smaller company, this can be too much of a financial strain. Cost is especially an issue if the company must ensure agents are available around the clock, 365 days a year. When your IT help desk budget is constantly growing with no visible advances in return on investment, outsourcing can help your bottom line. Cost savings accrue because an outsourced call center can staff agents who are trained to answer calls on behalf of multiple companies. This makes it affordable to have agents available even during periods of low call volume. 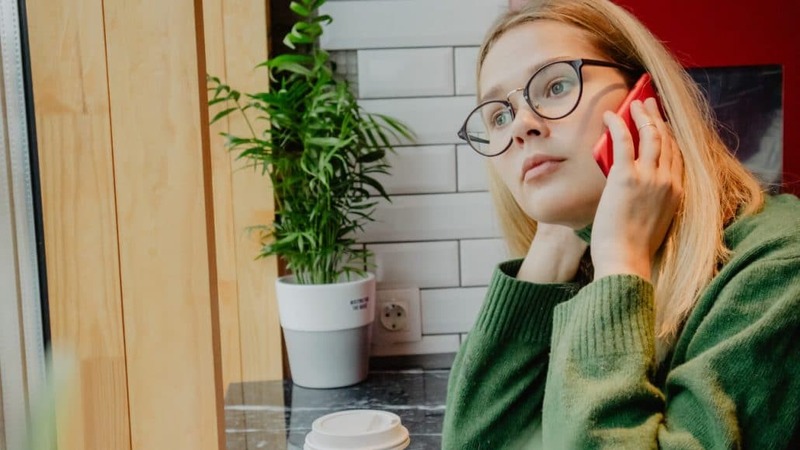 Some call centers, such as Unicom Teleservices, will only charge for “call time,” meaning that you will only be charged when an agent is actively helping a customer. Hiring a new help desk agent is an expensive and time consuming process. Outsourcing takes this requirement off your shoulders and frees up time spent reviewing and interviewing applicants. By establishing your agent requirements, when the need for an interview comes around, you’ll know that the interviewee will be qualified for the position. The cost of help desk software and technology is a large portion of your call center or IT help desk’s yearly budget, especially when keeping up with new trends are considered. If you’re unable to keep up with the latest advances in call center technology, it may be time to outsource, allowing someone else to shoulder the burden of that cost. Renting and maintaining office space costs money. Outsourcing your IT help desk or technical call center can save you money on real estate by allowing your company to reside in a smaller building with lower overhead cost. If your company is beginning to outgrow its current location, and a call center service will free up space, allowing more room to expand. If too much of your time is spent managing the help desk resources, not enough time is being spent focusing on your company’s core processes. This is especially true in smaller companies just starting out. Letting a third-party provider take care of the burden of the technical center will free up time to focus on doing business. This is a corollary to the point above. 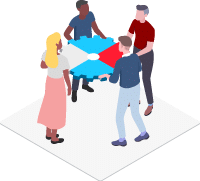 If your team is currently splitting their time between support and core processes, it stands to reason that both activities suffer. Contracting with a 3rd-party call center will improve service in several respects. Firstly, dedicating focused resources to the activity will be an improvement over expecting internal team members who have other responsibilities to field calls. Secondly, going to an outsource customer service model will impose more structure and process upon customer service activities. Service inquiries will be delineated into classes according to severity, difficulty, or other criteria and this will be an improvement over a situation in which an internal team handle matters in an ad-hoc fashion. 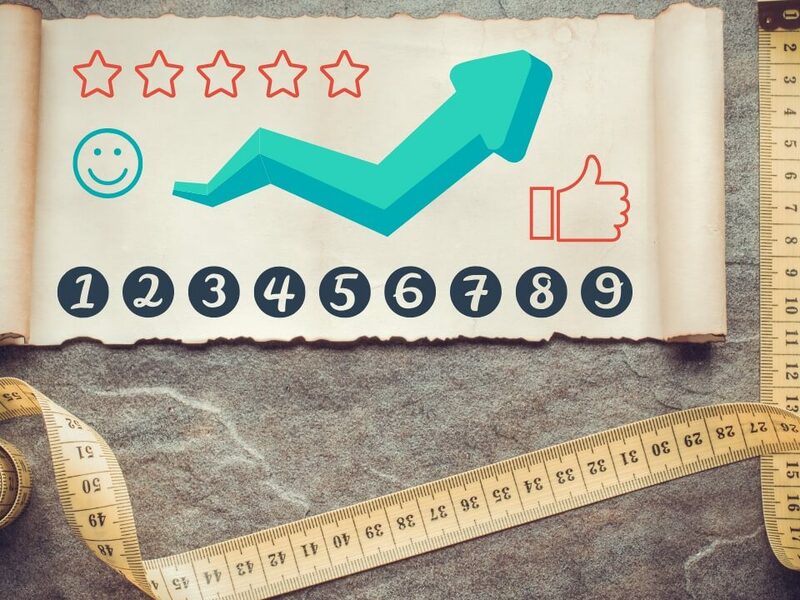 Consider other metrics depending upon what is important to your business so you can determine if outsourcing help desk is meeting your business needs. 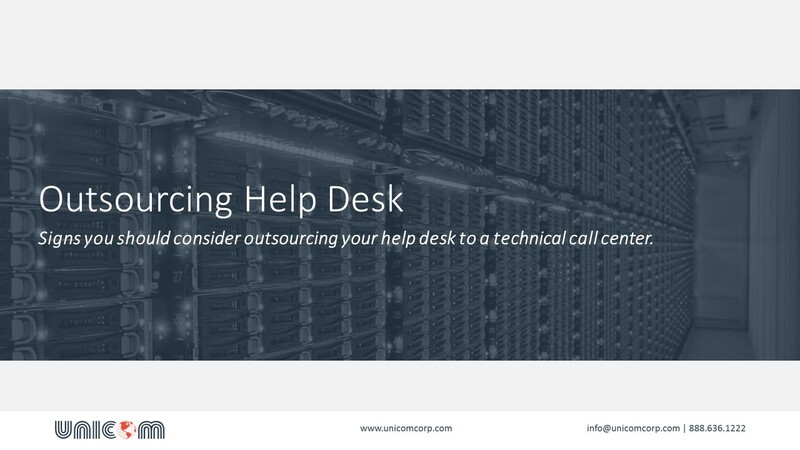 Unicom is a professional answering service company located in Chicago, Illinois, and has over 25 years of experience and proficiency as a technical call center providing outsourcing help desk services. Contact us to learn how you can utilize an outsource call center for your help desk. Our professional answering service offers live agents 365 days a year, and 24 hours a day. We never close.